Some of the RV DIY projects I’ve done on my full time boondocking Class A motorhome. I spent all day at this, so condensing it down to 16 minutes, not bad! 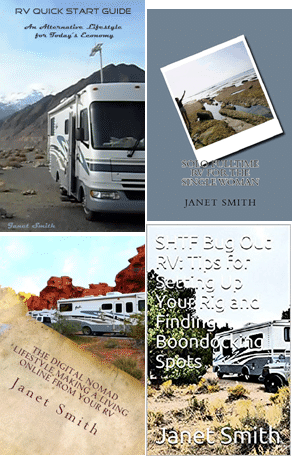 If you plan on living in an RV (or other small space) periodically, you have to go through everything, getting rid of stuff. Sentimentality? Forget it! I finally got around to opening the box, and trying this thing out; not sure how we got off on the wrong foot, but it took me on a merry chase down an unpaved road?